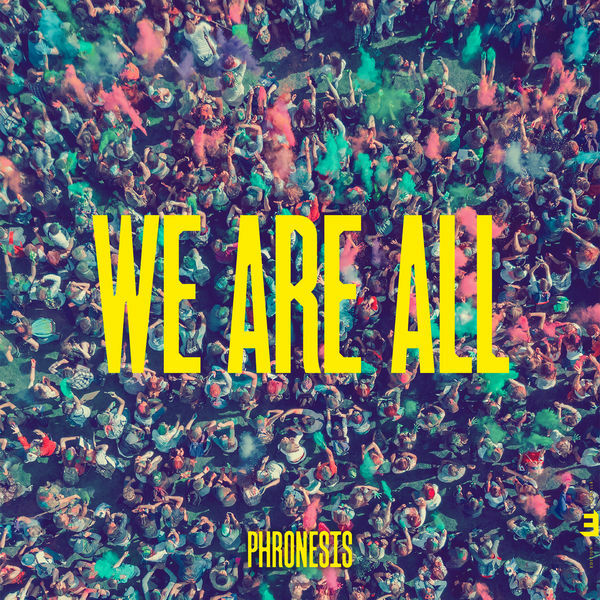 Phronesis burst back into the jazz scene with beautifully flowing time shifts, while adding impeccable groove and sweet melodic ideas into their music with their new album: We Are All. Phronesis is a European progressive jazz combo who have displayed their tenacity and ambition already with their two previous records. They manage to take the standard sound of traditional jazz combos and the stylistic tendencies of progressive jazz to meld them into their own unique sound. It is no doubt that these musicians not only display technical capability, but also bring to the table a new timbre that can appeal to both the jazz traditionalists as well as those who ache for music that stretches the boundaries of the genre. We are All as a whole represents flow. This record has many, many, many odd subdivisions and time changes that can dizzy the listener, but also strangely flow very smoothly together, slowly taking shape into oddly shaped but beautiful phrases and cadences. The opening track, “One for Us”, for example, has a rather unconventionally timed theme: a melody bouncing through each measure. However, the chordal decisions made under it are quite simple and consonant, a very nice contrast between the two musical aspects. The song then takes a turn into a rhythmic breakdown, but surprised me when it seamlessly molded itself into a piano solo section, displaying their relatively traditional jazz chops. The drums, however still maintain the contemporary feel with a breakbeat-inspired groove. Props to the drummer for the amazing outro solo as well! “Matrix For D.A.” has some of my favorite rhythmic ideas I have heard in a while. The wonky opening riff plays with multiple different subdivisions of the same riff, and sneakily slides into a section where the instrumentation seems to be pretty minimal. The piano gives off a very tentative vibe as chordal/melodic phrases are almost ‘muttered’ amongst the bass and drums, providing an ambient aspect to the song. The subsequent solo section is very scattered and disoriented, as the drums sparsely accompany the pianist, who utters broken melodic sentences and chords. It takes a little while to digest, but upon careful listening, you’ll find that under the chaos lies the theme, keeping the song from falling apart. It is definitely a step away from the very approachable and tonally centered sound that “One for Us” had, which added a nice diversity to the album. However, that doesn’t mean that there aren’t moments in this song I find especially beautiful. Transitioning into the bass solo, the pianist plays a descending broken scale that just screams Bill Evans influences, which are also present in some of the harmonic decisions shown throughout the album. Phronesis is a relatively small band, and from what I have heard in We Are All, they definitely deserve much more attention. They have the potential to burst out in prominence in not only the jazz scene, but in the prog scene, where artists such as Tigran Hamasyan have garnered attention with their innovation in genre fusion done right. Phronesis are greatly talented, and their talent should not go unnoticed. Previous PostRevocation - "The Outer Ones"